Posted April 11, 2019 by Seán Kinane & filed under News and Public Affairs, Water. The Florida Legislature is considering bills to outlaw certain types of fracking in Florida; but advocates for clean water warn that the ban excludes one oil and gas extraction technique that could harm the environment because of Florida’s limestone geology. Jorge Aguilar, the southern region director with Food and Water Watch, wants the method called matrix acidizing banned as well. Two bills that cleared the State House and State Senate committees in March, they both banned two types of fracking. 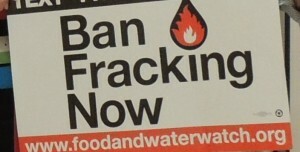 But there’s one type of fracking that they do not ban and that’s called ‘matrix acidizing’ which dissolves rocks. Can you describe what matrix acidizing is, and why your group opposes it? “Yeah. Fracking is a new, more dangerous way of drilling for oil that uses toxic chemicals to break rock formations in order to reach oil deposits deep underground. So the current bills to ban fracking being debated in the legislature have this loophole that you mentioned around matrix acidizing. “So the bills ban one type of fracking that fractures the rock, but the other type of fracking, the one that you mentioned as matrix acidizing, actually dissolves the rock instead of fracturing the rock. “So, you see, this is a loophole, but an important one, because, what we’re worried about is that both matrix acidizing and hydraulic fracturing use similarly dangerous chemicals, they use the same well casings and infrastructure to deliver those chemicals, and they can be done at the same well at different times. Let’s talk about the geology of Florida. We have more of a limestone geology than a lot of the other places where fracking is common in the U.S. How would matrix acidizing affect Florida? “This is one of the things we really try to explain to the legislature, is that, because of Florida’s unique geology, matrix acidizing would be a technique that would be used. And that the limestone in Florida is more porous than what we’ve seen in places like Pennsylvania or Texas, or lots of the other places where there has been unconventional fracking being used. What about earthquakes? There recently have been earthquakes along the Florida – Alabama border. Some people have potentially blamed that on the gas exploration. “Yeah, there’s been five earthquakes in the tip of the Panhandle over the past few weeks. And we’re very concerned that it is related to oil and gas exploration. Now, the truth of the matter is that the United States Geological Society has actually sent experts to study exactly what’s been happening. “The area itself does not actually have naturally occurring earthquakes. And so, what the geologists have said is that it is likely due to oil and gas operations. But, they still don’t have the sensors. They don’t have the monitoring equipment there, so they’re moving to study it. Now the division that has been sent, are specialists on something called ‘induced seismic activity.’ And it’s been proven, actually, that human man-made earthquakes are a result of oil and gas exploration. “Now, some of the folks in the oil and gas drilling operations will say, well, it’s not due to fracking, or it’s not due to drilling, which is true. But what these earthquakes are actually tied to is the actual injection wells of waste water from oil and gas drilling operations that have been tied to the earthquakes. This are the places like Oklahoma and Arkansas. And so these geologists that are coming down are coming with a lot of that research that has been learned from other areas that have oil and gas exploration. “So we always want to be clear, we don’t believe it is the drilling directly, but when we say fracking, we mean cradle-to-grave. Everything that is a harm to communities, be that tanker trucks that come in to deliver the toxic chemicals, the actual drilling of the well bore, the amount of water that it takes to drill these holes and the wastewater that comes back up and then must be disposed of — be it at a wastewater facility or in a treatment facility at a municipal plant. Someone who has followed the news about fracking over the last year or so might confused why were even still talking about it. 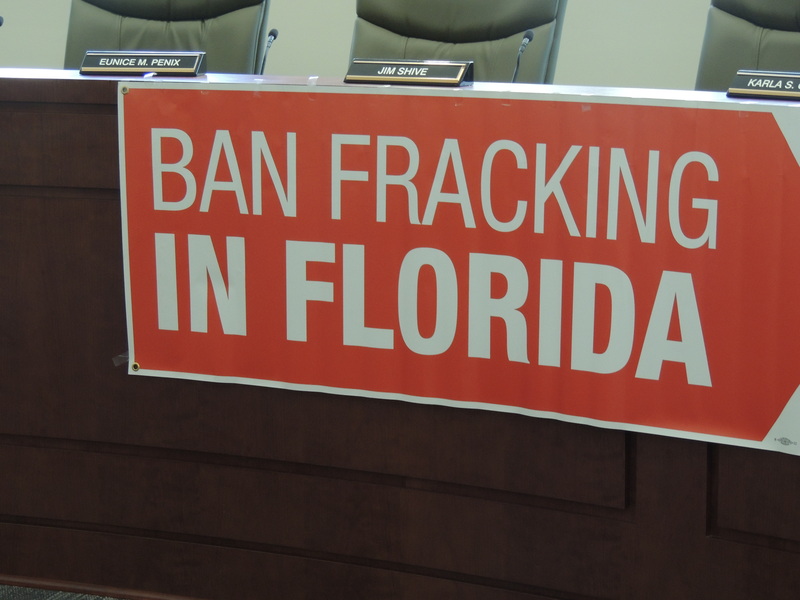 In January, our new governor, Ron DeSantis directed the Florida Department of Environmental Protection to oppose fracking and off-shore drilling. So why are we still talking about allowing matrix acidizing in Florida? Jorge, is there anything I missed that our listeners should know about?